Bikes, Blues, and BBQ is proud to announce three new members to their Board of Directors. For those of you that aren't aware, Bikes Blues and BBQ is a 501(c)3 nonprofit organization and is governed by an unpaid Board of Directors. The Board of Directors oversees the finances and directs the organizations mission, vision, and values. In the past few months we were fortunate enough to add Brian Crowne, Crandall Streett, and Justin Tennant to the board. Brian and his wife Day own George's Majestic Lounge, which is a Dickson Street icon. Brian is also the Vice President of the Walmart AMP in Rogers, AR. Brian has been involved with the rally since the first year. One of his favorite memories is playing at the first rally with his then band, Oreo Blue, on a flatbed trailer. We have grown a bit since then, and Brian has supported the rally every step along the way. Crandall Streett is a Senior Vice President and Loan Manager at Signature Bank of Arkansas. 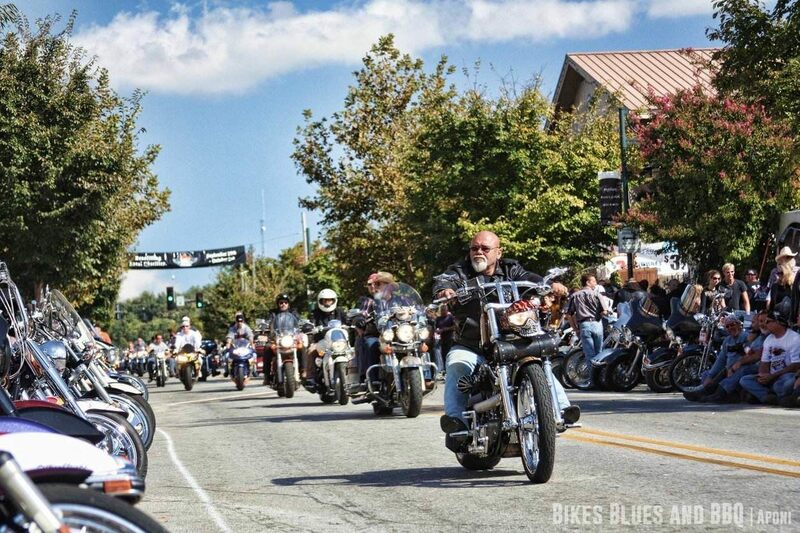 Crandall grew up in the beautiful town of Yellville, AR, which is a must see when you are in town for the rally. She is now a Northwest Arkansas resident where she is raising her three children with her husband, Nathan. Crandall is very involved in the community. She coaches youth basket at the Fayetteville Boys and Girls Club, she is a Funding Board Member for the Children's Safety Center, and she is a member of Christian Life Cathedral. Justin Tennant grew up in Fayetteville. After graduating from Fayetteville High School, Justin went on to receive a BA in Journalism from the University of Arkansas. He also serves as a City Councilman for the City of Fayetteville as well as the NWA Regional Planning Commission, Ordinance Review Committee, and Transportation Committee. Justin is a former board member for the Juvenile Diabetes Research Foundation. He currently serves the American Heart Association, Fayetteville Future Fund, the Walton Arts Center, the Fayetteville Botanical Gardens, Northwest Arkansas Young Professionals, and is a Watch Dog Dad. Justin has two children with his wife, Katie. All three new Board Members bring a unique perspective to the Board of Directors, and all share a great vision for the continued growth of the rally. If you see Brian, Crandall, or Justin around town or during the rally please take a moment and let them know what you think about the rally. We always love feedback.